It might only be 23 seconds long, but the sentiment is there. Here’s hoping 2012 2019 turns out to be a good ‘un for all concerned. Tune in all year from 7 January 2019 for new random and incoherent thoughts from your humble scribe. File under a sad ending to a recording career. It was the third single from the Mike Chapman sessions to be released as a 45 which meant that only Another Lost Look from those sessions hadn’t seen light of day via that format, although you will recall that an alternative version of said song had been put on the b-side of single #9 Love To Stay. But hang on, what’s this on the b-side of this latest single? There was absolutely no incentive to buy this single on 7″. The two songs had been available for more than four months. So what about the 12″? Eh……there’s no extended or dance mix, the b-side is the same….and to rub salt into the wounds the label put the 7″ versions of Happy Birthday and I Could Be Happy onto it. Absolutely pointless. So it is no surprise that the single didn’t chart. 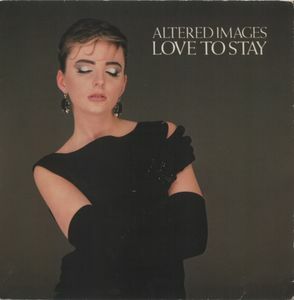 And that dear readers, concludes a look back at the ten singles released by Altered Images between March 1981 and October 1983. Collectively, they delivered three Top 10 placings, six Top 40 placings and a total of 60 weeks in the Top 75. Next up in the singles series…………The Jam. The album Bite had been released in June 1983. 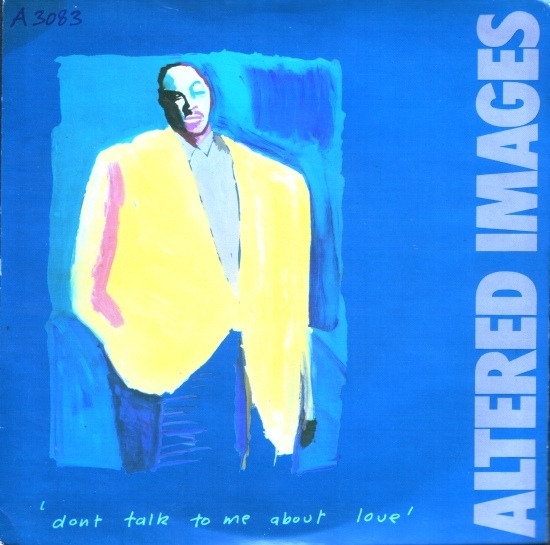 While Don’t Talk To Me About Love and Bring Me Closer had signposed the direction that the band were taking I still recall the total shock that greeted the sleeve of the parent LP. The pixie queen of indie pop music had an amazing new image, one that was clearly based on Audrey Hepburn a la Breakfast at Tiffany’s. It was an astonishing transformation that was matched by the music on the new record. There were just eight songs on the album, four of which came from the Mike Chapman sessions dating back to October/December 1982 and four from the work with Toni Visconti in March 1983. The songs were richly arranged and produced packed with synth strings and backing vocals from top-quality session singers. It was a tremendously mature piece of work that was as far removed from days of Dead Pop Stars and Insects as could be possibly imagined. The only thing was, to my ears, that the one obvious single had already been lifted (and been huge smash) and none of the others were likely to have daytime radio DJs falling over themselves to play them. It is one of the band’s finest bits of music and thus one of their best singles but it is so completely out of kilter with many of the other 45s. The b-side is an alternative version of another of the tracks on Bite and offered a band production on one of the tracks from the Chapman sessions. From memory, the extended version is just the version found on the album….but I can’t confirm as I can’t find the 12″ version just now. It’s been filed away in the wrong place and I can’t be arsed looking for it.. 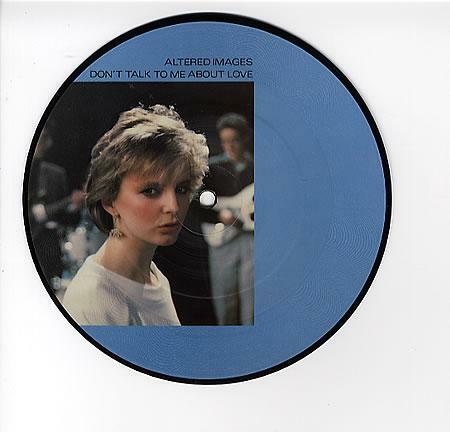 The single spent three weeks in the charts but got no higher than #45 and so brought an end to the run of the Altered Images 45s hitting at least the Top 40. At the time, I thought that would be the last single lifted from Bite – after all four of the eight tracks had now featured as either an A or B side in a relatively short space of time and the impact of the third single in terms of album sales was negligible. But I was wrong….. Tune in next week for the final part of this particular series. The next single was even more surprising than the last…. Bring Me Closer was released at the end of May 1983 just as Don’t Talk To Me About Love was easing its way out of the charts. This was a sound even more unlike Altered Images than could ever have been imagined. It was also interesting to see that having already worked with one of the giants of lush production in Mike Chapman the band had gone for the double whammy and roped in Tony Visconti for the latest 45. I wasn’t sure if I liked this single much when I first heard it. It felt too cluttered with so much going on including synth strings and prominent backing singers whose delivery was every bit on the edge as Clare’s normal singing style. To be honest, I’m still not sure if I like it all that much and I’d have no hesitation in ranking it as my second least favourite 45 by them. “I wrote the song at my parents’ house, where I was still living at the time. As a working-class boy, I wouldn’t think of moving out till I got married. I was infatuated with Clare Grogan. I met her on Top of the Pops and, at one point, travelled up to Scotland to have tea with her and her mum and dad. Although my feelings were unrequited and the relationship was platonic, it was enough to trigger a song, True, which became the name of our 1983 album, too. This only emerged some three years ago and I’m guessing that the decision to use David Band’s terrific artwork on the sleeve of True was Gary Kemp sending a subliminal message to Clare who by this time had now met Stephen Lironi who she would go on to marry in 1994. But back to the matter in hand….the feelgood factor from the previous single helped Bring Me Closer reach #29 two weeks after its release but unusually for an Altered Images 45 it immediately dropped down the following week but selling enough to hang around in the thirty-somethings for a short while before disappearing just as the parent album was released. The 7″ and 12″ also came as picture discs. The 12″ pic disc is one of just two pieces of plastic originally released by the band in the singles format that I don’t own. 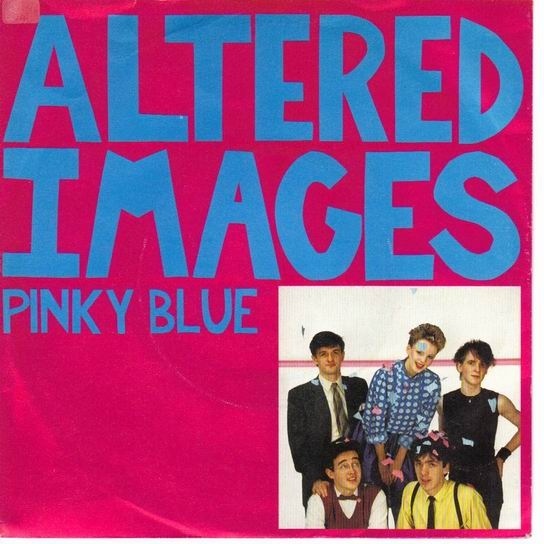 Altered Images might have been battered and bruised from he criticism that came in the wake of the release of Pinky Blue but they bounced back in style with their seventh single. The band had gone into the studio in the autumn of 1982 to work alongside producer Mike Chapman who had rightly received huge credit for his work on Parallel Lines by Blondie. But it was a band with a different line-up; drummer Tich Anderson (who had been a co-founder of Altered Images) and guitarist Jim McKinven (who had joined after the first two singles had been recorded) had left the line-up and in their place came the multi-talented Stephen Lironi who would fill-in at the initial sessions on both drums and guitar. It was also a band with a different attitude no longer afraid to make music which harked backed to their new wave roots. The first thing to emerge from the new collaboration was Don’t Talk To Me About Love, a song that I’m prepared to say is a timeless classic in the history of the pop single. It was incredibly unexpected both in terms of quality and sound. If it wasn’t for the fact that Clare Grogan had such a distinctive vocal style I don’t think any of the fans of old would have guessed which band was behind the music. It was released in March 1983 and sold well enough in its first week to enter the charts at #36. The band continued to work really hard at promoting the single with appearances all sorts of TV shows and it was no surprise that the following week it had jumped twenty-four places before then going Top 10 on the back of what was a memorable Top of the Pops appearance with Clare looking sexier than ever in a leather skirt. Incidentally, this was proving to be a particularly golden time for Scottish music as Eurythmics, Orange Juice, Aztec Camera and Big Country were all enjoying singles success for the first time in their careers. As indeed were New Order as Blue Monday began its first rise up the charts. The 7″ also came as a picture disc. Sad man that I am, I pinned said disc on my wall so that the lovely Clare gazed down on me……. The b-side is a bit disposable and forgettable, but its more than made up for by the fact that the extended version of the single works so well. NB : About three hours after this post originally appeared, the full 12″ version was added as a link and not simply the abridged extended version as made available on certain CD compilations. Please see comments section for detailed explanation!! The oh dear moment and the realisation that the bubble was about to burst. 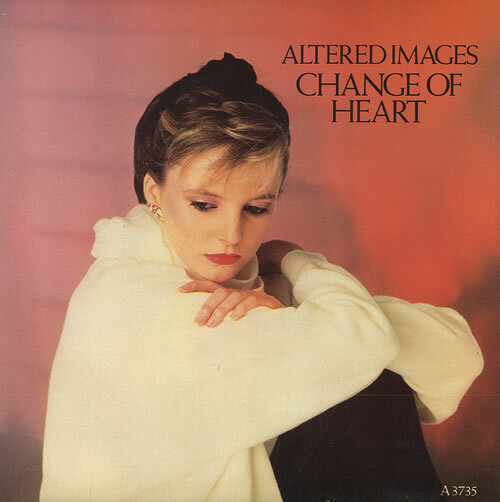 Altered Images had somehow pulled off the feat of maintaining a fair degree of street cred with the serious music critics while moving ever closer to being a pure pop band. Things changed however, in May 1982 with the release of the sixth single and second album. The patchy debut album had been given the benefit of the doubt thanks to the brilliance of its few high points but no such slack was cut for Pinky Blue. Eleven songs in all of which only the already released singles were up to the mark. 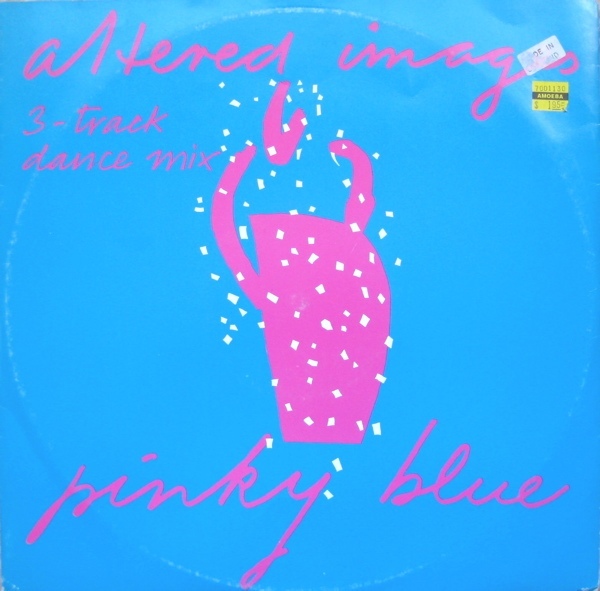 Not only was the quality of the A-side disappointing but the b-sides simply took tracks from the parent album and gave then the re-mix treatment…with the seven inch single featuring an instrumental version. It was, overall, a release with very little imagination applied and all-in-all a bitter disappointment. The one small mercy is that the 12″ version of Pinky Blue comes in at less than five minutes and so the torture ends quickly enough. Oh and I suppose a second small mercy is that the cover version of Song Song Blue (originally written and released by Neil Diamond) wasn’t issued in the UK as a 45….that was left to the poor people of Holland and Germany who received no comfort or joy from the b-side being See You Later, another sub-standard track from the LP. 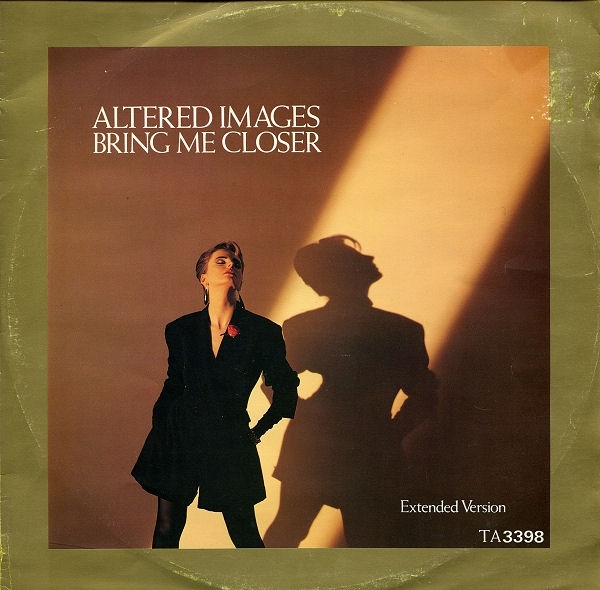 Drastic action was needed if Altered Images were to maintain their place at the higher echelon of the pop hierarchy. 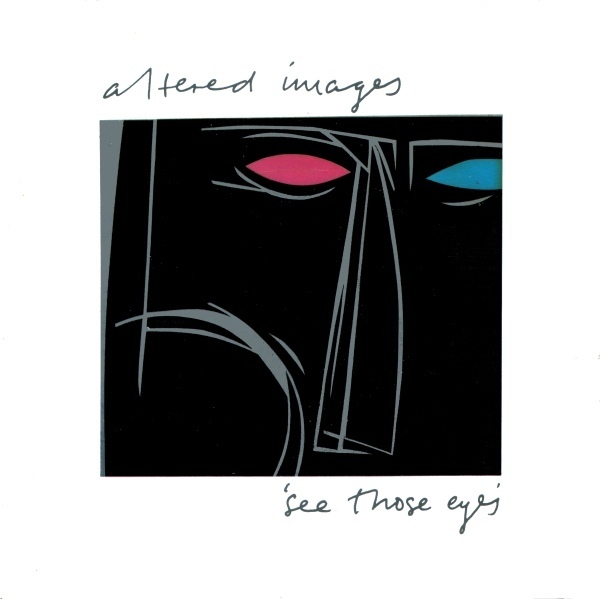 Any doubts at all that Altered Images were now one the UK’s most fully fledged and successful pop bands were surely dispelled with the release of See Those Eyes in March 1982. Just twelve months earlier they had been associated with the post-punk movement, championed by the Banshees and John Peel. There was no question now that they were making every effort to offer a much wider appeal to the masses. See Those Eyes is a cracking piece of disposable pop music and deserved to match the Top 10 success of the previous two singles. As it was, it peaked at #11 during what was just a seven week stay in the charts, so it was clear that this 45 had sold far fewer copies than the singles of late 1981. The 12″ in effect was the 7″ single with a remix tagged on as a sort of overture. The child’s contribution at the start is courtesy of Big Jimmy Rushent who I’m assuming was the toddler son of the producer. The b side was also something rather strange. It was a self-produced number that took the tune of the A Day’s Wait, the flop second single from just under a year earlier, and changed the lyrics to provide us with song about turning up at the station just too late to hop on board the choo-choo. Bizarre to say the least and also a tad worrying as it meant the two most recent Rushent-produced singles had seen the band revisit old material for the b-sides. They were either short of songs or wanted to send subliminal messages to fans of old that they were still in touch with their roots. Subsequent events with the sophomore LP would prove it was more of the former….